Greetings from Woodward Financial Advisors! 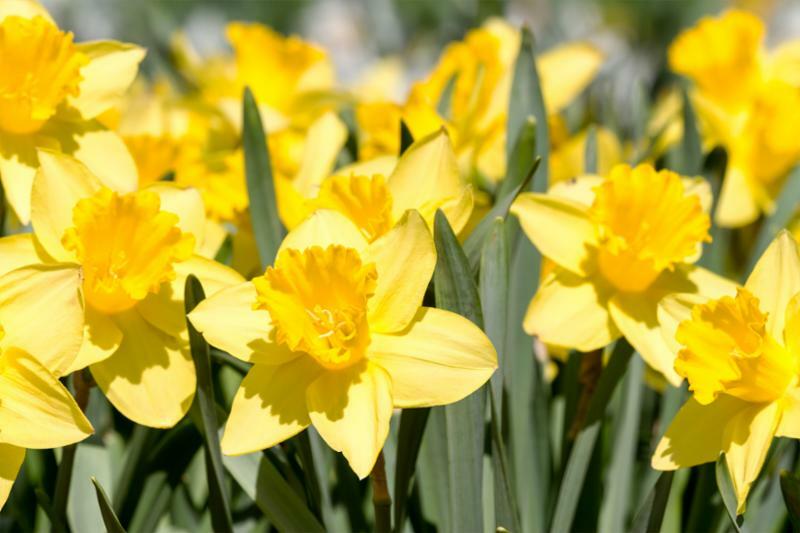 We hope spring is off to a nice start for you. In this newsletter, learn about our trip to TD Ameritrade's National Conference, our personal financial website, and several finer points underlying the WFA investment philosophy. Finally, read about some of the things that happened behind the scenes at Woodward Financial Advisors over the past several months. 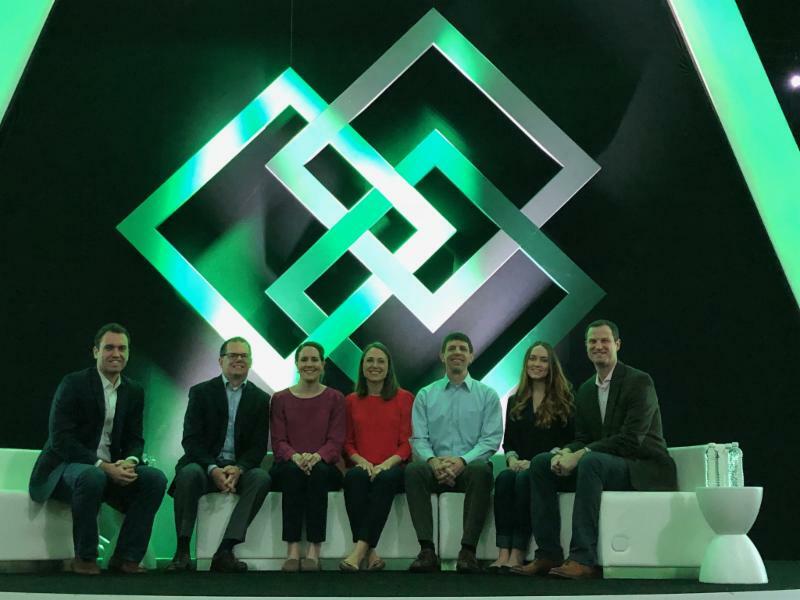 In early February, the entire WFA staff (minus Joe Marques, who stayed in Chapel Hill to keep the office running), traveled to Orlando, FL for TD Ameritrade's National "LINC" Conference. LINC stands for L earn, I nspire, N etwork and C ollaborate. We gathered with industry experts, thought leaders, and hundreds of peers and colleagues from across the nation to learn, explore, and share knowledge. While the purpose of LINC is to inspire, challenge, and grow firms like WFA, we participated with the ultimate goal of improving our service to clients. Wouldn’t it be great if you could see all your various account balances in one, central location? Well now clients of Woodward Financial Advisors can, with your own Personal Financial Website! Your Personal Financial Website reaches out to any linked account and pulls in current balances for you to view at any time. You can see your checking account balance, your investment account balance, and how much you currently owe on your credit card, all in one spot, whenever you want. Backed by top-level online security protocols, your Personal Financial Website only pulls in balance and transaction information – it doesn’t allow anyone to access your actual financial accounts or make transactions on your behalf. An on-demand, global snapshot of your entire financial picture. Shared access with Woodward Financial Advisors, so that we can provide timely advice without having to ask you repeatedly for updated account balances that we currently can’t see. We are excited to share this new tool with clients, and we look forward to discussing more details during upcoming meetings. One of the pieces of the Woodward Financial Advisors investment philosophy is that while we don’t actively pick stocks, we do “tilt” portfolios slightly away from what the overall market looks like. We do this to obtain more exposure to certain “dimensions” of stocks that academic research suggests lead to higher long-term returns. Specifically, small company stocks and stocks with lower relative prices (i.e., “value” stocks) make up more of our clients’ portfolio compared to how they are represented in the broad market. We know that the return premiums associated with these dimensions of higher expected returns don’t show up every year, or even every few years. But over time, these dimensions are persistent. In the investment world, there’s been a growing discussion about the apparent disappearance of the value premium. The table below reports the trailing total returns of the market (as measured by the S&P 500 Index) and two of the most common indices of US Large Growth and US Large Value stocks. At first glance, not only are value stocks underperforming their growth counterparts, they are underperforming the broad market. While that’s not unheard of over 5, 10 and 15-year time frames, it’s less common. Now things look a little different. VVIAX may still be underperforming Growth and the broad market, but not by nearly as much. And at the 15-year mark – which admittedly is a long time to wait to see outperformance – VVIAX does eke out a slight outperformance of the S&P 500 Index. But wait - there’s still more. In our portfolios, we commonly use the Dimensional US Large Cap Value Fund (DFLVX) for our allocation to US Value stocks. Like the Vanguard Value Index fund, the managers of DFLVX don’t actively pick stocks or try to time the market. But unlike the Vanguard fund, the Dimensional fund doesn’t track a commercially available index. Instead, DFLVX ranks stocks based on their relative price and uses a flexible trading process to patiently construct and maintain their portfolio. It also aims to be even more “value-y” than the Vanguard fund. How has that approach worked? The 1- and 3-year performance of DFLVX reinforces the idea that value hasn’t been the top performer recently. That’s ok: if we’re going to deviate from the market, we must accept that there may be times when there will be underperformance. At 5- and 10-years, the “deep value” nature of DFLVX has rewarded shareholders, not just relative to a different value index fund but also to the broad market. At 15-years, DFLVX has even outperformed the phenomenal run of US Large Growth stocks. Net of fund expenses, DFLVX has outperformed VVIAX, despite a slightly higher expense ratio than VVIAX (0.27% vs. 0.06%). Costs are important, but they aren’t the only criteria in evaluating investment choices. We believe that the value premium will continue to benefit investors who have the patience to wait through those times when it doesn’t materialize. But finding the best tools to capture that premium can be more challenging than just buying any old index fund. Please remember that different types of investments involve varying degrees of risk, including the loss of money invested. Past performance may not be indicative of future results. Accordingly, it should not be assumed that future performance of any specific investment or investment strategy, including the investments or investment strategies recommended or undertaken by Woodward Financial Advisors, Inc (“WFA”) will be profitable. This post is not a substitute for personalized advice and is current only as of the date it is posted. The statements and opinions expressed, however, are subject to change without notice based on market and other conditions. Descriptions of WFA’s process and strategies are based on general practice, and we may make exceptions in specific cases. While WFA may use funds offered by Dimensional Fund Advisors, WFA is a distinct, independent business entity. As an independent Registered Investment Advisor (RIA), WFA is free to select whichever investments it believes are in the best interests of its clients. Woodward Financial Advisors is on Facebook! Want to find out which team member won the WFA Winter Olympics 2018 competition? (Yes, that person received a gold medal!) 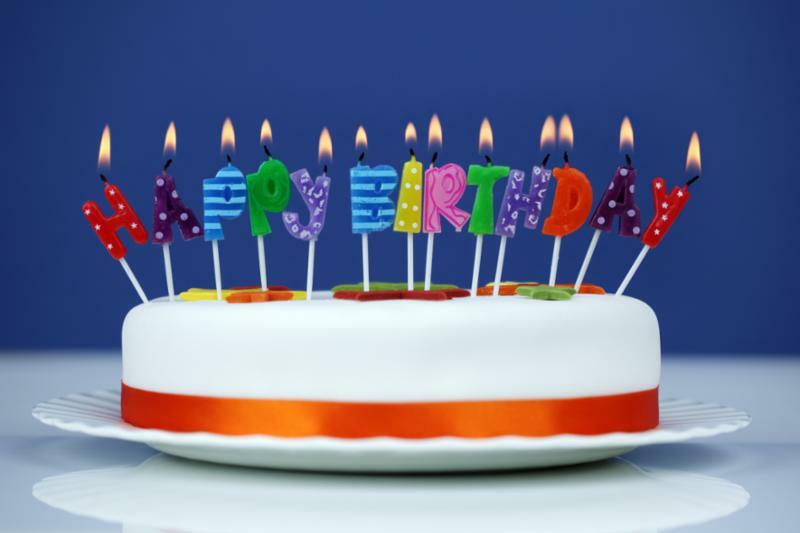 Want to know which two team members celebrated a birthday this past quarter? Click here. While you're there, please like us! In February, Allison Palmer gave a presentation to the NC Triangle Chapter of Ellevate, a local women’s professional network. The presentation was called “Taking Financial Control: A Road Map to Planning and Investing for Women” and included content on planning for retirement, basic investing concepts, and why women make excellent investors. In February, Ben Birken served as the emcee of the annual Symposium of the South Region of the National Association of Personal Financial Advisors (NAPFA). The event was held in Atlanta and simulcast to 9 locations, including Durham, where Allison Palmer served as the host of the simulcast site. If you haven't already, please provide us with a copy of your 2017 tax return once it's available. You may drop it off in person, mail it to us or upload it via a secure web portal we establish for you. Please do not email us your return as an attachment since it often includes personal identification information (e.g., Social Security number). If you have any questions, please let us know! Thank you for reading our first 2018 e-newsletter. Have a fantastic spring!